In Episode 46 we talk to Rhodes College professor and O.G. 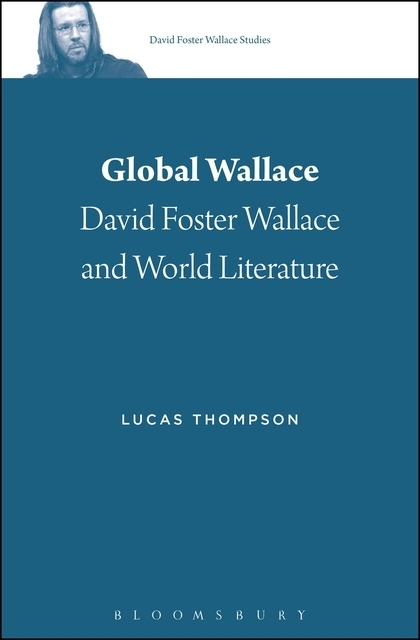 Wallace scholar Marshall Boswell about his new book The Wallace Effect: David Foster Wallace and the Contemporary Literary Imagination, out now from Bloomsbury Press! As usual, we bash Franzen a bit, get some overview of the central novels addressed in Marshall's book, and discuss the recent trend of "Wallace Snark" online. In Episode 43 we meet our nemesis Bo Butler of Pynchon in Public for the inevitable postmodern fiction podcast throwdown. Join us as we discuss the history of our beefing over literary turf and all related topics! In Episode 42 we talk to Chicago-based journalist and teacher Esther J. Cepeda about her love of Wallace, annual Infinite Jest reads, and other related literature and pop culture. A huge thank you to our Patrons as well on #ThankYouPatrons day today! In Episode 41, we talk to Dr. Tim Personn (in person!) from the University of Victoria about his recently-defended dissertation, "Fictions of Proximity: The Wallace Nexus in Contemporary Literature." Buckle up for a philosophical discussion, as Tim takes us on a ride through the work of Wittgenstein, Derrida, and other thinkers whose work informed Wallace's fiction and influence on the modern literary landscape. Other topics include tacos, seeing Parquet Courts live, and potential future podcast beefs! In Episode 40, we welcome Greg Carlisle, author of the Infinite Jest commentary, Elegant Complexity, and Nature's Nightmare, an analysis of Wallace's Oblivion collection. We're joined by repeat guest Matt Luter to talk about all the fun Dave missed out on at the recent Illinois State University Wallace conference, held June 7-9, 2018. Topics covered include panel recaps, anagram alter egos, karaoke highlights, and all other manner of conference scoops. Almost as good as having been there! In Episode 38 we talk again with Mike Miley, Vice President of the International David Foster Wallace Society and quiz kid extraordinaire. Topics include film, game shows, Oliver Stone, JFK assassination scoops, and hanging out with Michael Silverblatt. In Episode 37 we welcome the Diversity Committee Coordinators from the International David Foster Wallace Society to talk about issues of representation in the writing of Wallace, and within the Wallace community itself. In this episode, we stray a bit off our usual Wallacian course (but not too far) to discuss our literary and pop-culture highlights from the last solar revolution. In this episode we talk with Allard about philosophy and film in relation to the work of Wallace, and to lesser extent, Dave Eggers and Jonathan Safran Foer. Dr. Allard den Dulk is Lecturer in Philosophy, Literature and Film at Amsterdam University College, and Research Fellow at the Faculty of Humanities of the VU University Amsterdam, The Netherlands. He is the author of Existentialist Engagement in Wallace, Eggers and Foer, which is a significant topic of our conversation as well. Other topics include what it's like to show up unannounced at J.S. Foer's personal residence, and DFW cosplay. In this episode we talk to award-winning Vancouver poet and writer Shazia Hafiz Ramji about her three consecutive stints as a guide for Infinite Jest online community reads (Poor Yorick's Summer, Sacred Jest, and the recent Ennet House), as well as her own writing and the influence of DFW. We discuss the state of DFW studies, academia, and Matt's paper at this year's DFW Conference. Matt's paper deals with, among other things, Rita Felski's work and Kevin Birmingham's book on Ulysses, "The Most Dangerous Book." You can follow Matt on Twitter at @matthewjluter. On our first live episode (recorded in front of conference attendees at the fourth annual DFW conference at Illinois State University) we talk to Charlie Harris and Jim Plath about the life and legacy of Wallace, give some prizes away, and feature live music for the very first time on the show. This time we talk to our friend Jill Braithwaite, a Wallace scholar who wrote her Masters thesis on Infinite Jest and its connections to the ideas of theologian Paul Tillich and Unitarian Universalism. She is on Twitter here. Jill mentions a sermon she gave (in which Wallace's Kenyon speech makes a sigificant appearance), which can be found here.